Nagaland has always been an enigma, shrouded in the cult of the warrior. The 35 Naga tribes have been fighting since pre-history. From the mid-19th century, they brought to a standstill British armies seeking to establish control over Naga areas. Since 1956, they have fought Indian security forces in the country’s longest running insurgency. 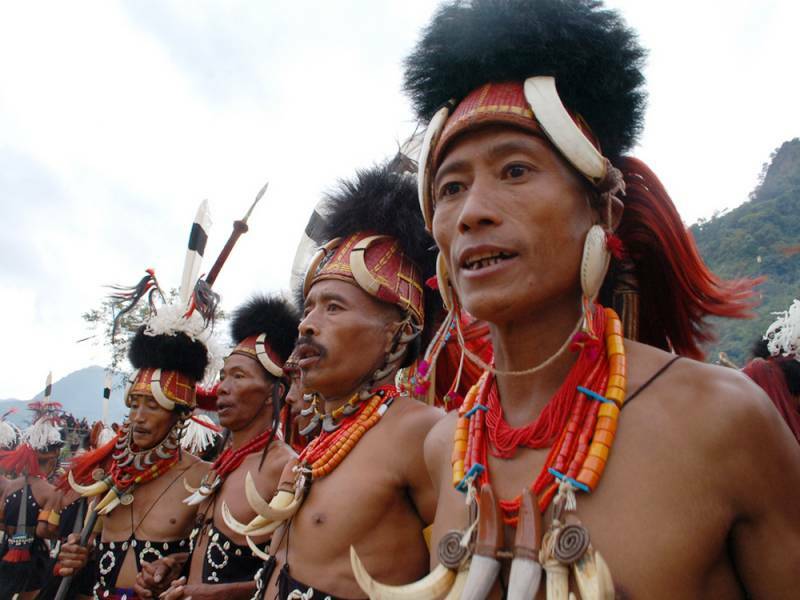 And without an outsider to unite them, the Naga tribes fight amongst themselves. An hour from the state capital, Kohima, at the gateway to Khonoma village, is a memorial slab engraved with 46 names --- residents of just one village who died fighting the Indian Army. Not far from Khonoma is Nerhema, which celebrates one of its sons, Captain N Kenguruse of the Indian Army, who won a Mahavir Chakra --- the country’s second-highest gallantry award --- for successfully assaulting a Pakistani-held peak, unmindful of his fatal injury. Given this martial tradition, it is unsurprising that the guns have not been silent even through an 18-year ceasefire between the Government of India (GoI) and the most powerful Naga separatist group, the Isak Swu and Thuingaleng Muivah faction of the Nationalist Socialist Council of Nagaland (NSCN-I/M). Though Indian security forces were off limits, various Naga militant groups sporadically killed each other in an internecine contest for power and extortion rights. The deep-rooted democracy embedded in Naga tribal culture has spawned a succession of splinter groups, usually along tribal lines. AZ Phizo initiated the fight for Naga independence, under the banner of the Naga National Council (NNC). With Phizo exiled to London, NNC leaders in India signed up for peace in the 1975 Shillong Accord. That brought hundreds of insurgents over-ground but a sizeable group, then training in China, cried sell-out. Led by Isak Swu, Muivah and a Naga from Myanmar called SS Khaplang, they renamed themselves the NSCN in 1980. Trained and armed by China and espousing a left-wing ideology, the NSCN saw no irony in its official slogan: “Nagaland for Christ”. In 1988 the NSCN split, with Khaplang, drawing support from northern Nagas like the Konyak tribe, peeling off from the main group and heading the NSCN-K. Isak Swu and Muivah now headed the NSCN-I/M, drawing support from southern Nagas, especially the Manipur-based Tangkhul tribe. To its credit, New Delhi has intervened pro-actively in this drama, unlike in Jammu & Kashmir where it has remained politically passive. In June 1995, Prime Minister PV Narasimha Rao met NSCN-I/M in Paris. HD Deve Gowda met NSCN-I/M in Zurich in February 1997, leading directly to a ceasefire agreement in May 1997. The government appointed a series of “special interlocutors”, who between them have had some 80 rounds of successful talks with the NSCN-I/M. Whilst the NSCN-I/M negotiated as the guest of New Delhi, the NSCN-K stood marginalized, largely because Muivah made it clear that opening dialogue with Khaplang would mean the end of talks with him. So Khaplang, a longstanding handmaiden of Indian intelligence agencies, was told that he would be brought into the dialogue at the right time. He bided his time. As a consequence of dialogue with the NSCN-I/M, New Delhi has in its hands an agreed settlement with this key group, which the government believes would unlock the door for separate agreements with other Naga groups and a final end to the problem. Sources close to the talks say Swu and Muivah have dropped their two key demands: a sovereign Nagaland with its own constitution, army and currency; and the integration of all Naga-inhabited areas, including in the neighbouring states of Manipur, Assam and Arunachal Pradesh. The sovereignty demand was dropped when the NSCN-I/M came to the table, an acknowledgment that maximalist positions had yielded no results in four decades of fighting. The larger breakthrough was Swu’s and Muivah’s acceptance that it was impossible to reorganise states to include all Naga-inhabited areas into a “Greater Nagaland”, termed Nagalim. During negotiations and through years of strife with the states concerned, the Naga leaders came to understand that Manipur, Arunachal Pradesh and Assam would on no account accept their territory being peeled off and merged into Nagalim. “Even if the Government of India agreed to expand the boundaries of Nagaland to include Naga-inhabited areas of neighbouring states, Articles 3 and 4 of the Constitution of India prescribe that the concerned state legislatures would have to accede to the proposal. Swu and Muivah understood that, given the neighbouring states’ opposition, the government does not have the numbers to pass the amendment through the legislatures involved,” says a source close to the negotiations. The NSCN-I/M, therefore settled for an autonomous administrative mechanism for Naga-inhabited areas, of the kind already created for other hiill areas, such as the Ladakh Autonomous Hill Development Councils for Leh and Kargil. Even so, the NSCN-I/M is clinging onto hope for a Greater Nagaland some day, perhaps through the mechanism of a States Reorganization Commission, as was done in the 1950s. Business Standard is aware that the settlement was finalised and even checked and approved for constitutional validity by the Attorney General. Yet two governments have failed to push it through. For two years in 2012-14, the lame-duck United Progressive Alliance (UPA) government dallied; followed by a year of inactivity by the National Democratic Alliance (NDA). The new interlocutor, RN Ravi, who is the chairman of the joint intelligence committee, has met Swu and Muivah. Prime Minister Narendra Modi visited Kohima in November to inaugurate the Hornbill Festival, but no deal was announced or inked. Meanwhile, New Delhi’s negotiation plan --- i.e. to negotiate a settlement with the NSCN-I/M, which would then catalyse settlements with the NSCN-K, the NNC and various splinter factions --- began to unravel, setting the stage for the bloody June 4 ambush on an army column in Manipur, in which 18 soldiers died. Khaplang ran out of patience and trust, concluding that New Delhi’s deal with Swu and Muivah would leave him out in the cold. With a limited support base in India, this Burmese Naga would have to feed off the crumbs from Muivah’s table. With time running out, Khaplang refused to renew his ceasefire in April. The signals were clear that Khaplang would strike hard at Indian security forces to underline his relevance. Even as the NSCN-K began splintering --- a new group, NSNC-R peeled off days after the ceasefire abrogation --- Khaplang’s fighters began targeting the security forces. On April 25th, an Assam Rifles trooper was shot dead; on May 3, the NSCN-K killed eight security personnel and wounded nine in Mon district. Yet the government in New Delhi did little. Minister of State for Home Affairs, Kiren Rijuju blandly declared that the government took “serious note of the incident from the security point of view”. “The June 4 attack was an explosion waiting to happen. We should have activated intelligence sources, tightened up security forces and issued public statements to tell Nagas that Khaplang had repudiated the ceasefire, which the government wanted to continue. Public sentiment in Nagaland overwhelmingly favours an end to violence. The government could have generated strong public pressure on Khaplang to return to the table”, says a senior Nagaland government official. Intelligence officials admit they underestimated Khaplang, who had already joined hands with nine northeast militant groups, forming a joint front, United National Liberation Front of West South East Asia (UNLFWSEA). Even so, the Indian Army’s cross-border strike of June 9 against Khaplang’s camps in Myanmar has put the spotlight on both NSCN-K and the government. Khaplang’s fighters, accustomed to the comfort of ceasefire camps, do not relish the prospect of a return to jungle camps with the army at their heels. For the government, there is the need to sign off on an agreement that satisfies not just the NSCN-K, but also an angry and embittered Khaplang. Over the last week the Light Combat Helicopter (LCH), designed and built in India by Hindustan Aeronautics Ltd (HAL), moved a crucial step closer to operational service by successfully completing a set of gruelling trials in the desert areas around Jodhpur. These were the LCH’s “hot weather flight trials”, designed to check whether it could meet its performance requirements even in blazing temperatures, with oxygen in short supply. HAL pilots proved their helicopter’s ability to meet its performance specifications, handling qualities and loads, even at low speeds when a helicopter engine is gasping for air. In February, the LCH had successfully completed “cold weather flight trials” in North Pullu in Ladakh. There the LCH was required to start up on internal batteries and get airborne after an overnight “soak” in the minus 20 degrees Celsius cold. Operating from a helipad at 4,600 metres (15,000 feet) above sea level, the LCH test-flew at altitudes of 6,500 metres (21,300 feet). Next month, the LCH faces “hot and high” trials in Leh, where the relative summer warmth will further reduce the oxygen, already in short supply due to the high altitude. HAL has custom-designed the LCH for the world’s highest battlefield, Indian Army posts on the Himalayan watershed. With severe limits on the weaponry that soldiers can physically carry at those altitudes, the heavily armed LCH will support infantrymen with its cannons and rockets, while defending itself from enemy aircraft with air-to-air missiles. In the plains of Rajasthan, Punjab and Jammu, the LCH will be primarily used to destroy enemy tanks with guided missiles at ranges of up to 7 kilometres. Each of these tasks presents challenges that few helicopters can meet, and that the Indian Army will not compromise upon. Yet, HAL designers appear confident that the LCH will meet every requirement. HAL’s confidence stems from the fact that much of the LCH has already proved itself in two earlier helicopters. While the flying platform was proven in the Dhruv Advanced Light Helicopter (ALH), the weapons and sensors were proven in the Rudra, an armed variant of the Dhruv. Even so, the LCH has several new features that made engineering a challenge. First, it is heavily armoured to protect pilots from enemy fire. Next, its fuselage was redesigned to make it “stealthy”, or hard for enemy radar to detect. If it is shot down, a crash-resistant landing gear would help pilots to survive even when the LCH impacts the ground at 10 metres/second. Finally, to be sleeker, the LCH seats its two pilots --- one flying, the other operating weapons --- one behind the other, not side-by-side like in the Dhruv. That required a redesign of the flight controls, hydraulics and fuel system. On the sub-continental battlefield, the LCH will be pitted against the Zisheng-10 (Z-10) light attack helicopter, developed by China’s Changhe Aircraft Industries Corporation (CAIC). 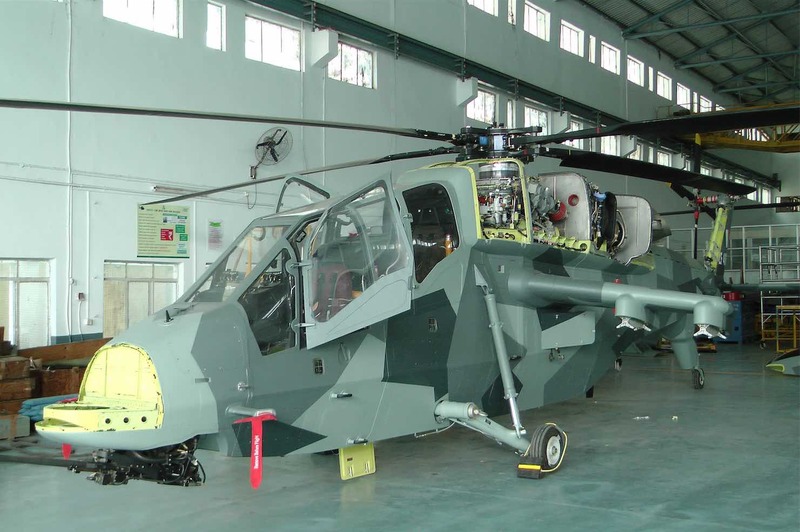 There are reports that Beijing is providing Pakistan with the Z-10, as a replacement for its older Huey Cobra attack helicopters. HAL already has a commitment for the LCH, with the army wanting 114 helicopters and the air force asking for 65. There could also be orders from the international market, where the LCH will compete against the Z-10 and the Eurocopter Tiger. For that, HAL will have to establish production facilities and after-sales support with greater efficiency than it has done for its otherwise admirable Dhruv helicopter. The international maritime boundary line (IMLB) between India and Sri Lanka, frequently violated by fishermen, gun-runners and smugglers, will soon be under tighter watch by the Rustom-1 unmanned aerial vehicle (UAV) --- a drone developed by the Defence Research & Development Organisation (DRDO). The DRDO is working with the navy to fit an Automatic Identification System (AIS) on the Rustom-1, to identify Indian fishing vessels along the IMLB. The AIS transmits an “interrogator” signal that reflects back from transponders fitted on every Indian fishing boat. That would allow the Rustom-1 to identify Indian fishing boats, and to quickly detect those straying into Sri Lankan waters. In such an event, or if it detects an unidentified boat in Indian waters, the UAV alerts a ground control station (GCS) on the Indian coast through a real-time digital data link. Currently, the Indian Navy monitors this maritime boundary --- running across the Palk Strait and Gulf of Mannar --- with Dornier-228 manned aircraft, and Israeli-built Heron and Searcher UAVs. These operate from INS Parundu, a naval air base near Ramanathapuram District, Tamil Nadu. Since these aircraft do not have AIS systems, they cannot differentiate Indian vessels from Sri Lankan. Colombo complains that Tamil Nadu fishermen deliberately poach from Sri Lanka’s rich fishing grounds, which are exploited by fewer fishing vessels than India’s crowded waters. Earlier this year, Premier Ranil Wickramasinghe controversially threatened Indian fishermen that they could be shot if they poached on the livelihood of fishermen from Jaffna, Sri Lanka’s northernmost province. According to figures submitted by the government to the Madras High Court in 2012, the Sri Lankan Navy has fired 167 times on Indian fishing vessels over the preceding two decades, killing 85 and injuring 180 fishermen. Sri Lanka also arrested 746 Indian fishermen, duly releasing all but five. Tamil Nadu’s fishing community demands the Indian navy and coast guard must protect them from the Sri Lankan Navy. For that reason, the navy has welcomed the DRDO’s plan to modify the Rustom-1 for this task by fitting it with AIS. The Rustom-1 was never intended to enter service; it was meant to be a “flying test bed” for proving sensors and data links meant for the Rustom-2, which would be operationally deployed as a system much like the successful US Predator drone. Now, however, the navy has agreed the Rustom-1 could conduct maritime surveillance, after the DRDO enhances it to fly missions of 8-10 hours. “We are replacing the existing data link, which weighs about 14 kilogrammes, with a newer data link that weighs just 4 kilogrammes. We will shave off another 25 kilogrammes from the flying package. That will give us the ‘persistence’ we need, which the means the ability to remain for long over the mission area”, explains a senior DRDO project manager. 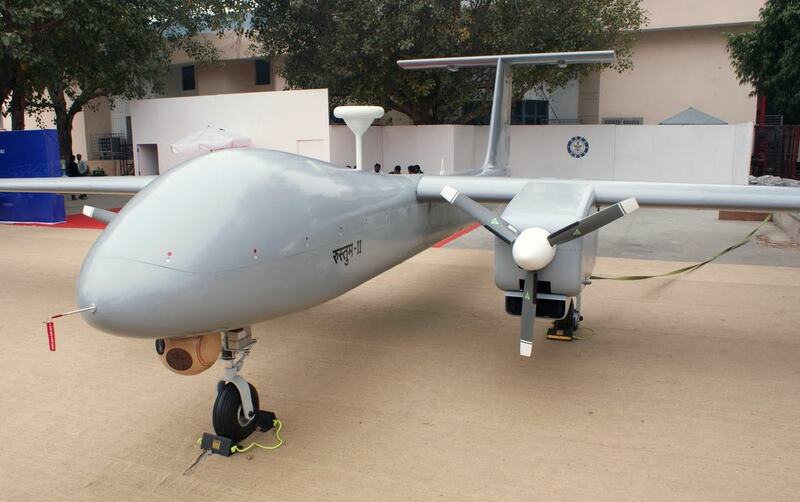 The DRDO’s key operational challenge is to transmit data from the UAV all through an 8-hour surveillance mission, during which the Rustom-1 would fly about 1,500 kilometres. The data link with the GCS, however, has a range of just 200 kilometres. Before the Rustom-1 goes out of range from one GCS, it would have to transfer the data link, in mid-flight, to another closer GCS. The DRDO says this challenge has already been met. What remains unresolved is the task of fitting AIS transponders in the tens of thousands of fishing boats that operate from Tamil Nadu. After the 26/11 Mumbai terror attack, a national coastal security task force had decided to fit AIS transponders on all of India’s two lakh fishing vessels. This has not been done. “We will take 6-8 months to fit the Rustom with an AIS and make it lighter. Six months more will go in testing the final platform. So the government has about a year to fit all fishing vessels with AIS. Without that, the initiative would serve no purpose”, says the DRDO project manager. DRDO’s Bangalore-based Aeronautical Development Establishment (ADE) is leading the Rustom project. The Rustom-1 flying platform is a commercially purchased kit from Rutan. However, the Rustom-2 has been developed from scratch with a Rs 1,540 crore budget sanctioned in February 2011. It is intended to remain on station for up to 24 hours with a payload of over 350 kilogrammes. Private firms, Taneja Aerospace and Trivan Industries are developing the Rustom-2 airframe. Few tears will be shed, especially in the corridors of power, given his frequent gaffes, if Defence Minister Manohar Parrikar makes good his threat not to talk to the media for the next six months. Speaking less will give Mr Parrikar more time to think and to grasp fundamental defence issues that still elude him. Seven months after his appointment --- when he boasted that swift action was his specialty and that, as an Indian Institute of Technology (IIT) graduate, he would quickly master technology-related issues --- the new defence minister remains the new defence minister. Alarmingly for someone who Prime Minister Narendra Modi has anointed a central pillar of the “Make in India” policy, Mr Parrikar has evinced neither the will nor the domain expertise needed to transform a military culture of buying foreign weaponry into one that promotes indigenous arms. This lack of leadership was painfully exposed this fortnight, when the army rejected the plan to develop its next tank in the country, instead inviting international companies to design a tank for India and supervising its construction. This would waste 30 years of Indian toil in designing and building the Arjun tank, an experience that must be harnessed into a more capable, next-generation tank. The Defence R&D Organisation (DRDO) is already working on such a tank --- dubbed the Future Main Battle Tank (FMBT) --- which the defence ministry told parliament in 2010 would be ready by 2020. Yet the army has scuppered this project with Mr Parrikar watching helplessly from the side-lines. The reason is obvious. Mr Parrikar and his bureaucrats prefer to buy than to build, since the latter involves active government leadership in coordinating the accumulation of diverse capabilities that go into a weapons platform. In building the Arjun tank, for example, the DRDO started with little expertise and with a technologically primitive domestic industry. As it painstakingly learned how to design a tank, many of the sub-systems --- such as the engine, transmission, fire control and night-vision systems --- remain imported. Meanwhile, Indian companies built others --- such as the armour, gun, ammunition and suspension system --- labouring alongside the DRDO to master these new technologies. An eco-system now exists for tank production in India, even though the government failed to support these so-called “Tier-1” and “Tier-2” vendors (systems and sub-system suppliers) morally, technologically and financially. Meanwhile, the army did all it could to scuttle the Arjun’s evolution instead of partnering the DRDO. After the Arjun outperformed the army’s Russian T-90 tank in comparative trials in Rajasthan in 2010, the generals adopted a new tack. Complaining that the 60-tonne Arjun was too heavy, they demanded an improved Arjun Mark II. Incredibly, the additional capabilities demanded added up to another 5 tonnes. Mr Parrikar is failing the country and Mr Modi’s vision of “Make in India”, by standing by while the army scuttles the Arjun’s successor. He must exercise leadership by calling in the army, the DRDO and captains of industry, both public and private, and telling them flatly that the days of importing Russian armoured vehicles is over, and that a family of Indian tanks, infantry combat vehicles, reconnaissance vehicles and missile carriers will take their place. He must ensure they hammer out time-lines and financing and allocate responsibility for who will build what and by when. Such decisions require the exercise of subjective judgment by decision-makers, not the time-consuming, timid “out” of competitive tendering. Private industry must be given ownership of intellectual property (IP) they develop and, crucially, assured profits from mass-producing the components and sub-systems they develop. Liberal taxation regimes must be uniformly applied across industry. Untenable notions of “national security”, long misused by the public sector to keep out private sector competition, must be thrown overboard. Messrs Tata, Godrej and Mahindra, and chief executives of the other private firms, are as good Indians as the heads of public sector behemoths. This meeting must be inaugurated with the ceremonial burning of the “Defence Procurement Procedure”, which could be retrospectively renamed “The Book of Reasons to Do Nothing.” To Mr Parrikar’s credit, he has declared that a lack of trust was impeding his ministry’s functioning. The procurement manual embodies mistrust, with its preoccupation on procedures rather than outcomes. With the DPP out of the way, a “Manual of Standards” must be introduced to specify uniform parts that could be used across various defence platforms. The Russian military uses the same bolt to fasten wheels onto trucks, tanks and helicopters; and the same air blower is fitted in ships, aircraft and land systems. This makes for cheaper volume manufacture and eases logistics and stocking. This big-picture combat vehicle project must encompass futuristic versions of all the military’s current fleet, drawing in projects like the Future Infantry Combat Vehicle proposal that have meander along for years like lost and forlorn cows. Each type must be overseen by a project manager, with unreasonable delay penalised with sacking. Mr Parrikar himself --- being an IIT graduate! --- should chair six-monthly or annual review meetings to monitor progress. The minister must evolve a similar big-picture approach to untangle the army’s biggest current problem --- the shortage of battlefield fire support, like artillery. Mr Parrikar’s currently solution is to expedite several individual procurements, each of a different gun type --- including a 155 millimetre towed gun; mounted gun system; ultra-light howitzer; and two self-propelled gun types. Even though several indigenous initiatives are under way --- including a successful Ordnance Factory Board gun; a DRDO-led project called the Advance Towed Artillery Gun (ATAG); and more than one Indian private sector solution, Mr Parrikar has failed to coordinate and synergise those by taking a step back and re-evaluating fire support de novo. Such a step could also factor in new equipment like the improved Pinaka rocket launcher; cruise missiles and the Prahar missile, all of which would enhance fire support to the frontline soldier. India could add another deadly dimension to its battlefield fire support by asking Washington for the A-10 Thunderbolt II (nicknamed Warthog) aircraft --- a proven battlefield beast that the United States Army custom-built to pour fire onto enemy frontlines, even in the face of retaliatory ground fire. With the US close to retiring its Warthogs, we could evaluate the benefits of acquiring this legendary aircraft at throwaway prices under the “Excess Defense Items” category. Such a holistic approach would benefit not just the indigenising of systems, but also import, where it is inescapable. Our large military requirements make for enormous buyers’ leverage, which the ministry fritters away in piecemeal purchases. The navy needs sonars and torpedoes for multiple types of surface and submarine vessels, but all these are imported separately, linked with individual warship contracts. Instead, our requirement of hundred-odd sonars and several hundred torpedoes could easily be processed as separate contracts, with global vendors strong-armed into building in India for the global market. This is equally true for air force procurements. If the ministry views the big picture of our fighter requirements, rather than as individual “procurement cases”, major indigenisation of sub-systems and systems could be obtained from bundling the development and production of the Tejas light fighter, Advanced Medium Combat Aircraft, Fifth Generation Fighter Aircraft, Multi-Role Transport Aircraft and a host of helicopters are that the military requires. All this, of course, requires Mr Parrikar to take a step back and look afresh at the unimaginative way we do our procurement. Hopefully, his silence will now give him the time. 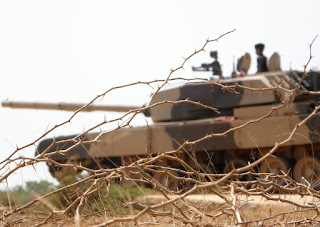 Over the last three decades the army has first ignored, and then opposed the indigenous Arjun tank, designed by the Defence R&D Organisation (DRDO). 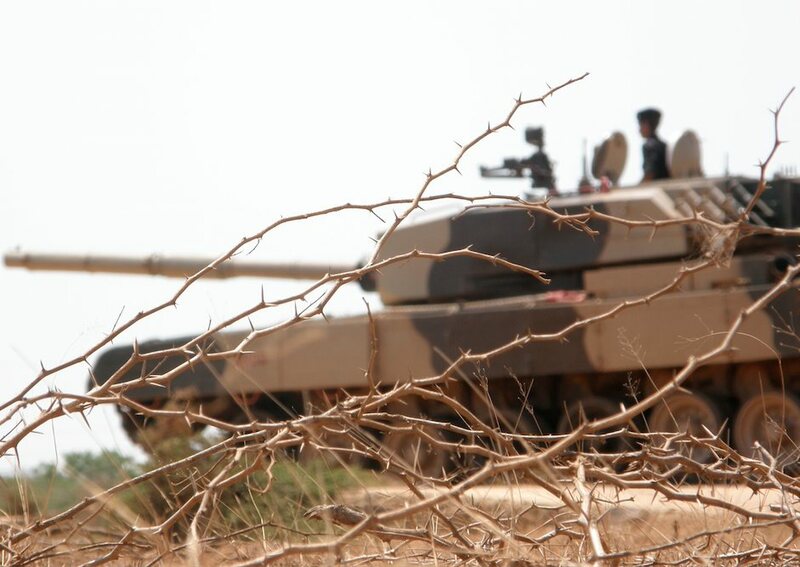 Now, this fight has entered a second generation, with the army scuttling the DRDO’s proposal to design the next-generation Future Main Battle Tank (FMBT). In a blow aimed at the FMBT proposal, the army has floated a global Request for Information (RFI) asking tank manufacturers to submit proposals to design a “new generation, state-of-the-art combat vehicle platform” for India. The new tank will not just replace the army’s 2414 obsolescent T-72 tanks, but also constitute a “base platform” that would be modified into 10 other variants, including tracked and wheeled light tanks; bridge laying and trawl tanks; a mobile platform for artillery and air defence guns; a combat engineering vehicle, and even a tracked ambulance. This proposal has been named the Future Ready Combat Vehicle (FRCV) project. Army sources say this name has been selected to clearly differentiate it from the DRDO’s FMBT project, which will no longer be supported. The FRCV proposal RFI originates from the “Directorate General of Mechanised Forces” (DGMF). Dated June 10, it was posted on the internet a few days later. FRCV is a direct blow to “Make in India”, replacing not just the indigenous FMBT project but potentially also the Future Infantry Combat Vehicle (FICV) project that is being tendered shortly to Indian vendors under the “Make” category of the Defence Procurement Policy (DPP). FRCV would divert lakhs of crores of rupees from Indian to foreign vendors. The FMBT project --- which the government told parliament on December 6, 2010, would be completed by 2020 --- could itself be worth Rs 1,50,000 crore. 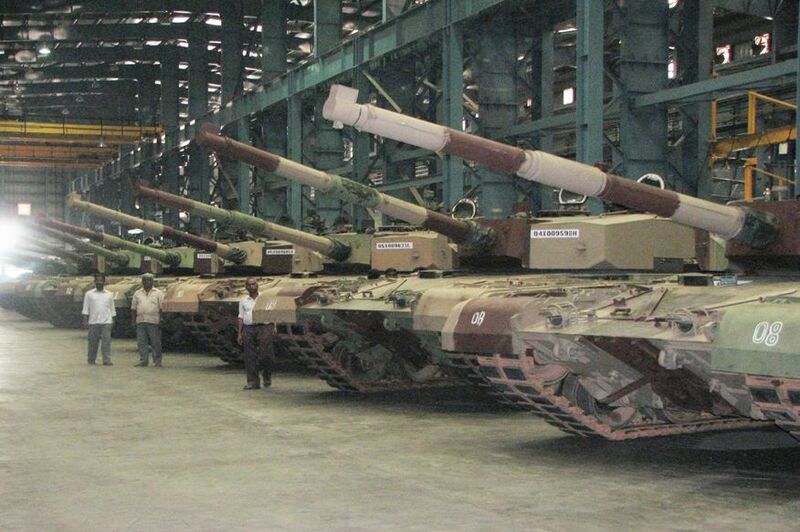 This includes about Rs 25,000 crore for designing, development and testing the new tank, and then replacing the army’s 2,500-odd T-72 variants for about Rs 50 crore each. Separately, replacing the army’s 2,600 BMP-II infantry combat vehicles would cost another Rs 50,000 crore. Currently the indigenous FICV project covers this replacement. The new FRCV proposal has several dubious firsts. Unprecedentedly it lays down no specifications for the new tank, leaving it to the foreign designer to propose its form and capabilities. The RFI vaguely states that the “design must cater for ‘future’ battlefield environment and technological possibilities”. Traditionally, buyers of military equipment specify precisely what they need, placing the onus on the vendor to meet those requirements. In the case of tanks, users specify weight, the guns and missiles they want, their strike ranges, how much armour protection is needed, etc. However, in the FRCV, only a “broad design philosophy” will be specified to the vendors. “Tanks are not designed by philosophers, but by engineers. The military needs to translate its operational philosophy into weapon systems, and to clearly specify to designers the capabilities that are needed. The problem is the generals themselves can’t agree what they want, and so they want the designer to tell them”, says a senior officer involved in the FRCV process. Business Standard learns that a key reason for this lack of consensus within the armoured corps (which operates tanks) is that, for a decade, each of its director generals has brought his own ideas, overruling the ideas of his predecessors. A second problem with the RFI is that it violates the DPP in the process it lays out for designing, developing and manufacturing the FRCV. The three-stage process envisaged is: (a) an international design competition, with vendors “asked to submit detailed designs based on the FRCV design philosophy”. A ministry selection committee would select the best design; (b) development of a prototype by “nominated” development agencies (DAs), separate from the designer, but with the designer’s “close involvement”; (c) the bulk manufacture of the FRCV by “one/two nominated Production Agencies (PAs). There has been no such case in recorded procurement history where one agency has designed a product, another has developed the prototype, and a third has carried out mass manufacture. Defence vendors only undergo costly and laborious design and development when they are confident of making profits through bulk manufacture. Since there is no provision in the DPP for the proposed three-stage process, the ministry’s apex Defence Acquisition Council (DAC) would have to sanction a DPP deviation. Civil servants in the ministry say there is little chance of that, given that the DRDO, confident after building the Arjun, would steadfastly oppose a foreign-led process. “We will support the DRDO, since this involves “Make in India”, a senior defence ministry official told Business Standard. The army’s future tank programme seems poised for significant delays. In Paris on Wednesday, Hindustan Aeronautics Ltd (HAL) signed an agreement with French engine manufacturer, Turbomeca, to support the redoubtable Shakti helicopter engine, which would power a fleet of 1,000 Indian military choppers during the coming decade. HAL’s joint venture (JV) with Turbomeca, long in the making, would support the Bengaluru-headquartered aerospace company’s ambitious vision of becoming a helicopter production giant. India’s military has already committed to buying three different types of HAL helicopters, all powered by the Shakti engine that Turbomeca custom-designed for HAL. Optimised to fly at extreme altitudes of up to 6,000 metres (almost 20,000 feet), the Shakti engine supports Indian army troops deployed on the Himalayan watershed. An HAL release announced that the new JV would provide maintenance, repair and overhaul (MRO) support for the Shakti engine, as well as for the Turbomeca TM333 engine that was initially fitted on the Dhruv ALH while the Shakti was being developed. While not announced, Business Standard learns that HAL and Turbomeca would have equal shares in the JV, which is slated to come up in Bengaluru for an estimated Rs 200 crore. Meanwhile Defence Minister Manohar Parrikar’s home state, Goa, is believed to be pitching for the facility to be established there. “This JV will boost the ‘Make-in-India’ drive, considering the forecast that around 1,000 Shakti engines will be flying in India over the coming years”, announced an HAL press release from the Paris Air Show on Wednesday. These helicopters include the Dhruv Advanced Light Helicopter (ALH), which is already in service in large numbers. With 159 Dhruvs already sanctioned for the military, an order for another 73 is currently being processed. A second chopper, the Light Combat Helicopter (LCH), is at an advanced stage of prototype testing. The Indian Air Force (IAF) has committed to buying 65 LCH, while the army wants 114, adding up to an initial commitment of 179 LCHs. Two Shakti engines power each Dhruv ALH and LCH. The overall requirement of 411 of these two helicopters would need almost 850 Shakti engines, including some spare engines. Then there is the Light Utility Helicopter (LUH), which HAL is developing, and expects to fly later this year. The defence ministry has committed to buying 187 LUHs. Each of these light, three-tonne helicopters has a single Shakti engine. Simultaneously, the defence ministry has cleared a global tender for another 197 reconnaissance and observation helicopters (ROH), to be built in India in partnership with a foreign aerospace vendor. With HAL at an advanced stage of developing the LUH, which has similar specifications to the ROH, top company sources suggest HAL would offer the LUH in this competitive tender. “Given how much we have indigenized the LUH, and its low cost, it would be hard for a foreign company to bid lower than us in the ROH tender. Remember, foreign vendors would be liable for offsets and would be required to indigenize up to 50 per cent”, says an HAL executive. HAL plans to build these light helicopters at a new facility on 610 acres that it has bought in Gubbi Taluk, Tumkur District, about 125 km from Bangalore. Additionally, there could be export orders for several of these helicopters. The Dhruv ALH is already in service in Ecuador and Nepal, and interest has been reported from Malaysia and Indonesia. Priced at about Rs 44 crore, the Dhruv undercuts rival western helicopters. Increased Shakti production and the new MRO would lower acquisition and operating costs further. Cooperation between India and the Tatmadaw thus goes back decades. Over the years, the Indian Army has conducted several operations inside Myanmar with the Tatmadaw’s tacit agreement, but has wisely refrained from embarrassing Yangon, or Naypyidaw (the capital since 2005) with public statements. In the wildly successful 1995 Operation Golden Bird, the two armies jointly killed and captured some 150 militants. Stretching the agreement for “coordinated patrols”, Indian troops struck two underground camps several kilometres inside Myanmar on June 9, retaliating against an ambush on June 4, in which a mixed group of undergrounds from at least three militant organisations killed 18 infantry soldiers of the 6 DOGRA battalion, and wounded 15 more, in Chandel, Manipur. The militant ambush was led by the Nationalist Socialist Council of Nagaland (Khaplang faction), or NSCN(K), which last year ended a 14-year ceasefire with the Indian government. The group’s veteran leader, Khaplang, had long been propped up by Indian intelligence to weaken what they considered the more capable and dangerous rival grouping---the NSCN faction led by Isak Swu and Thuingaleng Muivah, or NSCN(I/M). When, in 1988, the army apprehended Khaplang’s operations chief, Jesop Konyak, New Delhi quickly interceded to free Konyak and hush up the incident. New Delhi’s steadfast support of Khaplang turned in 1997, when the NSCN(I/M) signed a ceasefire with New Delhi, making Swu and Muivah the favoured interlocutors for a final Naga settlement. A beleaguered Khaplang too signed a ceasefire in 2001, but realised to his chagrin that the NSCN(I/M)---drawing support from the larger and more influential Thangkhul, Chakhesang, Lotha and Mao tribes---would corner the lion’s share of the spoils. Khaplang’s NSCN(K), supported mainly by Konyaks and Myanmar-based Naga tribes, would be left holding the wooden spoon. Matters came to a head last year, when Khaplang refused to renew the annual ceasefire agreement. Although the NSNC(I/M) ceasefire continued, it was clear Khaplang needed a big operational success to underline his relevance. Two small ambushes in Arunachal Pradesh and Nagaland during the last three months suggested a big ambush was coming. RS Pande, New Delhi’s interlocutor in the Nagaland peace talks from 2010-13, wrote for NDTV that Khaplang’s withdrawal from the ceasefire “was a major event and should have been taken note of… [which] means preparing for the kind of attack [that came on June 4]”. Even so, the intelligence and military failure of the June 4 ambush might have been partly mitigated by the flawless retaliatory operation carried out on June 9 by 21st Battalion, the Parachute Regiment (Special Forces) on the underground camps in Myanmar. The number of militants actually killed is debatable, but there is no doubt that the operation signalled to underground groups that any further attacks will invite retaliation, even in erstwhile safe havens in Myanmar. For that signal to be credible, however, the Tatmadaw would have to remain on our side. The army’s statement, issued once everyone in the raiding party was safely back in India, was carefully calibrated to keep faith with the Tatmadaw. It deliberately avoided mentioning that it had crossed into Myanmar. “The Indian Army engaged two separate groups of insurgents along the Indo-Myanmar border at two locations, along the Nagaland and Manipur borders. Significant casualties have been inflicted on them. As a consequence, threats to our civilian population and security forces were averted", said the army. Nothing more needed to be said. News of the cross-border raid would spread like wildfire through militant networks, while sparing the Tatmadaw awkward questions about Indian troops operating on Myanmar’s soil. “There is a history of close cooperation between our two militaries. We look forward to working with them to combat such terrorism”, affirmed the army. But while the army’s message was directed at anti-India militants, India’s political leadership was more interested in voters. A couple of hours before the army’s official briefing at 6 p.m. on June 9, senior government officials called up a handful of “trusted” journalists, meaning those who would report what they were told without cross-checking or contextualising. These scribes were told that --- notwithstanding the carefully worded briefing that army headquarters would give later --- the operation had been a cross-border strike into Myanmar. It was made clear that news reports should highlight the top leadership’s lion-heartedness in ordering them. “Someone, somewhere, was feeding them”, pointed out Vikram Sood, former Research & Analysis Wing (R&AW) chief, citing the pattern of reporting and a published photograph of the commandos who allegedly conducted the raid. Rathore’s jingoism, played up by a drum beating media, evoked a predictable backlash. Zaw Htay, director of Myanmar’s presidential office, flatly contradicted Rathore, declaring that while there was “coordination” between the two armies, Indian troops never crossed into Myanmar. Meanwhile, Islamabad responded aggressively to Rathore’s threat that the Myanmar raid was “a warning to other countries”. Pakistan’s interior minister, Nisar Ali Khan, warned India that “Pakistan is not a country like Myanmar”, a reminder that raiding across the heavily militarised Indo-Pakistan border would not be easy. New Delhi’s politicisation of the Myanmar raid successfully subverted the military’s message to Naga and Manipuri militants. Instead of projecting a quiet menace in the north-east, India’s defence minister Manohar Parrikar --- who is rapidly gaining a reputation as a loose cannon --- engaged in a slanging match with Pakistani officials over India’s military capability. Notwithstanding the political bumbling, this raid into Myanmar raises important issues. The army now knows it can expect political clearance for cross-border strikes on militant camps in response to grave provocation --- so far only in Myanmar, but potentially also in Pakistan. The government’s willingness to use military force puts the onus on the military to develop a cross-border response capability against Pakistan. This demands a more sophisticated, calibrated approach to escalation. 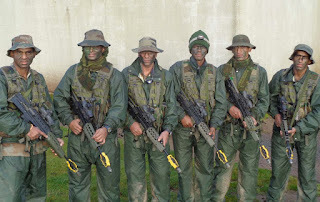 Our Special Forces currently cannot conduct surgical strikes across the heavily defended Indo-Pakistan line of control (LoC), but India can credibly strike Pakistani targets with fighter aircraft, rocket salvos and cruise missiles. The United Progressive Alliance (UPA) government disregarded these options after the 26/11 Mumbai attacks in 2008. So too did the National Democratic Alliance (NDA) government after the 2001 terror strike on Parliament --- the NDA unwisely leapt up the escalation ladder to full-scale military mobilization, stopped short of war only by Pakistan’s nuclear deterrent. Now that the Indian military is aware that it can cross borders in retaliation, it will have to think and plan beyond Myanmar. Finally, even the most successful cross-border raid cannot wish away the worrying question of how an Indian infantry battalion allowed itself to be ambushed with such heavy losses. There are real questions around the military’s force planning, procurement and promotion policies, and its treatment of ex-servicemen. But few doubt that our infantry battalions are formidable fighting units that deliver on the battlefield. Hopefully the Chandel attack, in which 18 infantrymen lost their lives for the reported loss of just two militants, was an aberration, and not a sign that the army’s combat edge is eroding.